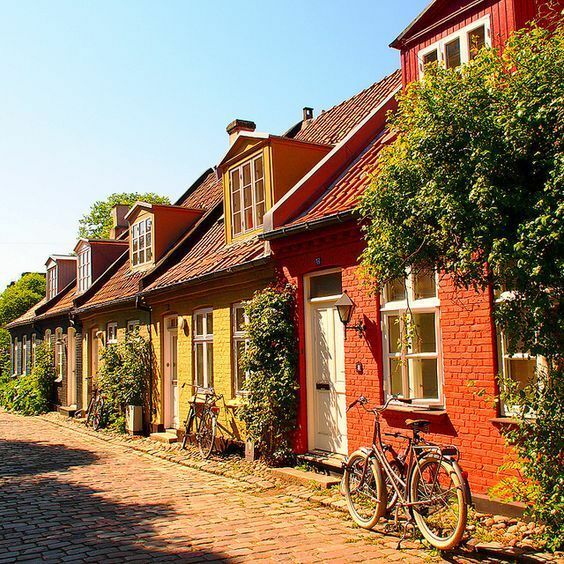 European Capital of Culture 2017, is the second largest city in Denmark home to 270.000 inhabitants and overlooking the eastern coast, surrounded by beautiful beaches and pristine forests. Aarhus is an exciting university town boasting a beautifully preserved historic center and a perfect reconstruction of an ancient village: Den Gamle By. 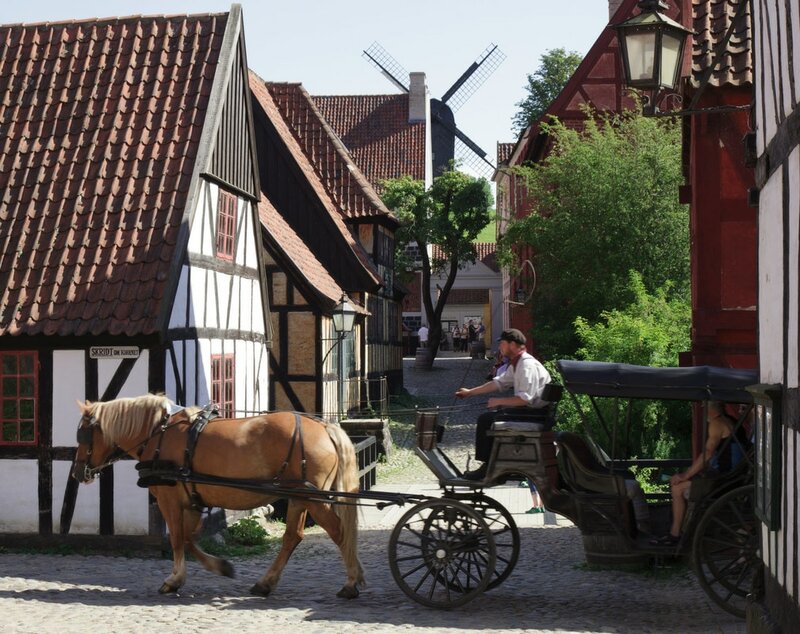 Its main attraction is the Museum of Prehistory of Moesgard dedicated to archaeology and ethnography where you can find more than 50.000 artefacts from all over the world. 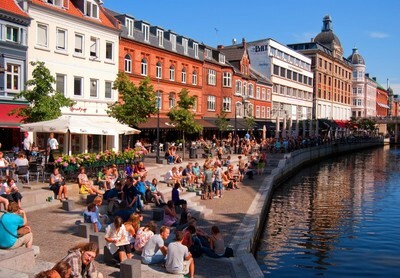 The vibrant student population keeps Aarhus nightlife lively even on week nights. Many night cafés and bars can be found by the picturesque river downtown, or in the narrower streets in the centre. Many clubs offers live music on most nights of the week.A new addition to the city skyline is the spectacular rainbow panorama Aros a 150 meters long circular path offering stunning 360° views, created by the world-famous Danish-Icelandic artist, Olafur Eliasson. 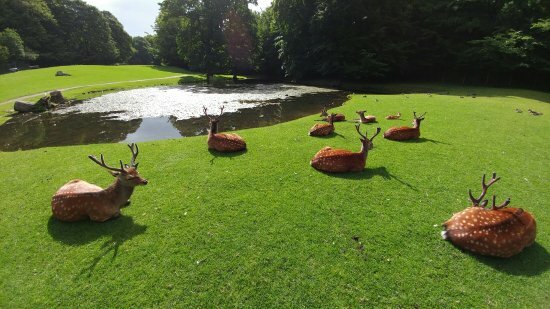 Visit also the Marselisborg Deer Park, a hotspot for a family day out, entrance is free and you can bring some carrots to feed the deers. 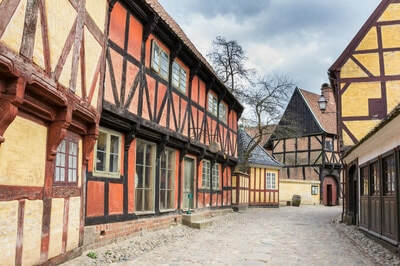 Many events take place in Aarhus in the summer time including the famous NorthSide festival, featuring a wide range of international and danish artists. The festival this year will take place from june 9 to june 11, and will include artists such as Radiohead, Bastille, Frank Ocean and The Prodigy among others.